This bracelet is a really pretty beaded amber bracelet. 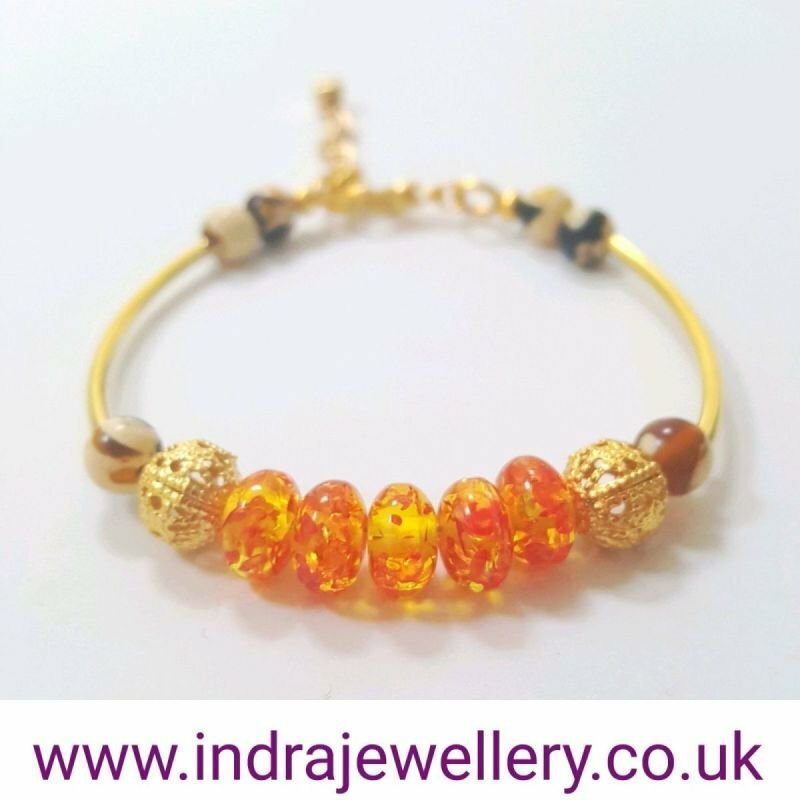 The central amber beads are genuine copal amber beads and I have complimented them with gold spacer beads and some unusual mosaic amber beads. The bracelet measures approximately 6.5" and there is an extender chain too if you need the bracelet to be bigger! Wear or carry Amber when recovering from an illness or injury to increase vitality and draw on one’s own essential strength and desire for wellness. Its vibration of life force brings warmth to the inner being and imparts more of this energy into the system. Amber may also be used to achieve longevity, and is a marvellous gem for the elderly.